Their quick production also prompted me to give them a try. As a matter of fact, my spring “planting” started bearing a couple of weeks ago. A bed can also be refreshed or a new bed can be inoculated from an old bed for repeat performances. Let’s go back to spring, to my planting. 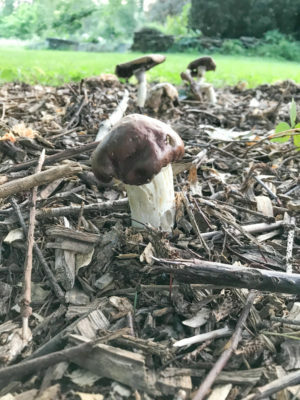 Wine caps grow very well in wood chip mulch, something that’s aplenty on my farmden. 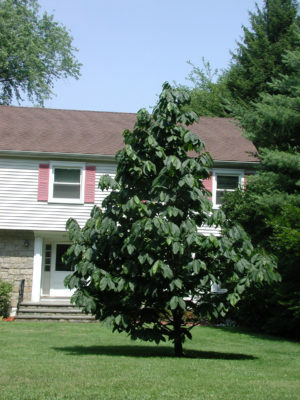 My berry bushes are mulched, my pear trees are mulched, as are the paths in my vegetable gardens. 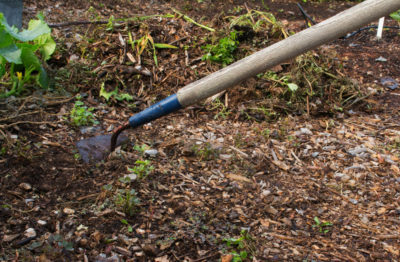 Why not do double duty with those mulches? I was wrong. A few weeks ago I wrongly dissed groundnut (Apios americana) for invading my flower garden. Yes, I planted it; that was 30 years ago, and it’s resisted my attempts at eradication for the past 28 years. The worse culprit, this year at least, is related to groundnut. 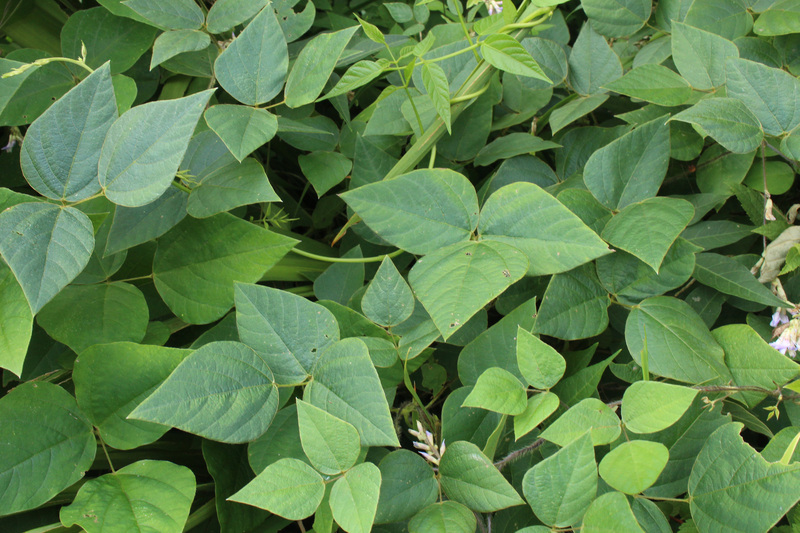 Like groundnut, it’s a legume, it’s native, it’s edible, and it’s a vining plant with compound leaves. But each leaf of hog peanut (Amphicarpaea bracteata), has 3 egg-shaped leaflets, as compared with groundnut’s 5 lance-shaped leaflets.